Water-based with a buttery consistency and are fast drying. * Thin colors with water for transparent colors or use colors full strength for bold opaque coverage. 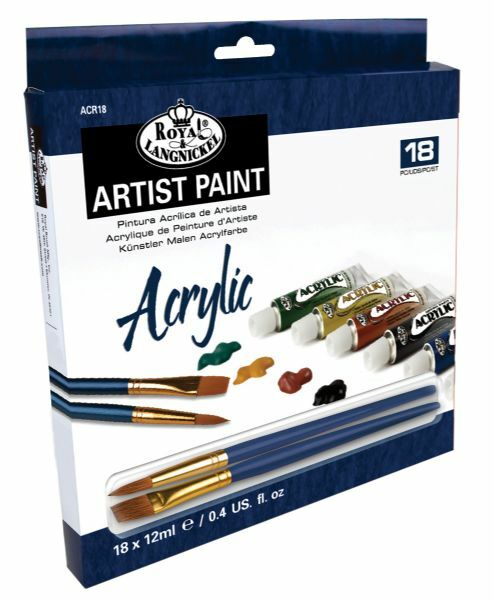 * 18-color set includes titanium white primary yellow cadmium yellow yellow ochre cadmium orange scarlet lake cadmium red magenta primary magenta II bright yellow green cadmium green viridian primary cyan phthalocyanine blue violet dark cobalt violet burnt umber and mars black plus one flat paint brush and one round paint brush.Colors may vary. 8.88" x 8" x 1.12"